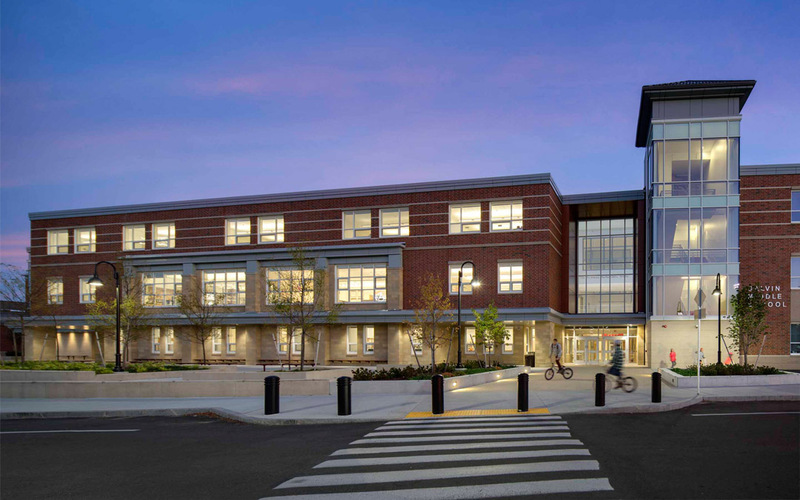 Completed in 2015 by BOND, the all new 1100 student Galvin Middle School was sited to allow concurrent use of the existing school during the phased construction. 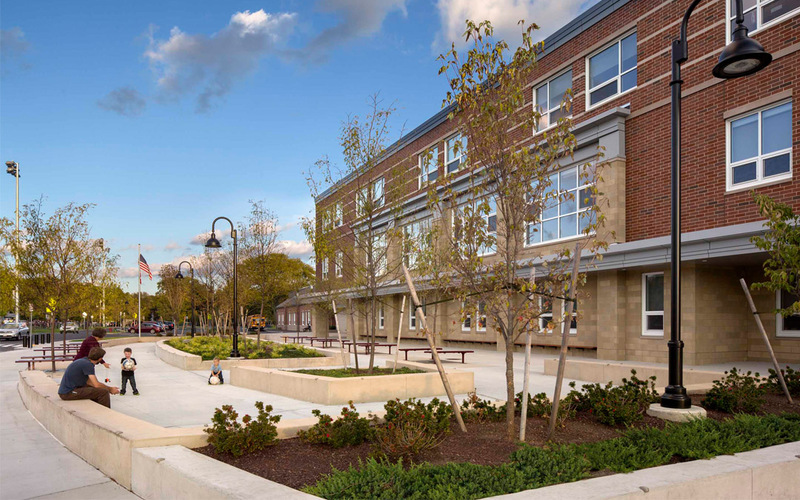 Every square foot of the site was carefully designed to accommodate the extensive program requirements that included two artificial turf soccer fields, an outdoor classroom area, generous plaza areas, a small skatepark, and the required parking and safe drop-off areas necessary for a school of this size. 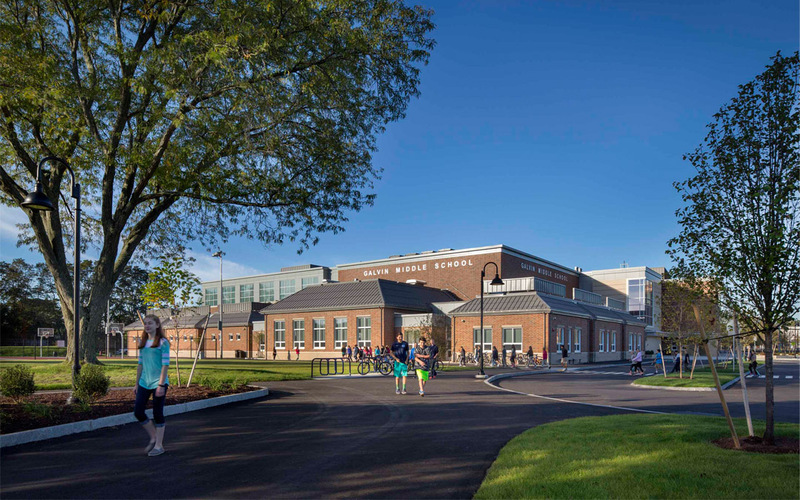 As one component in achieving Massachusetts Collaborative for High Performance School verification, bicycles were accommodated with parking for over 50 bikes and widened sidewalks connecting to the adjacent public areas. 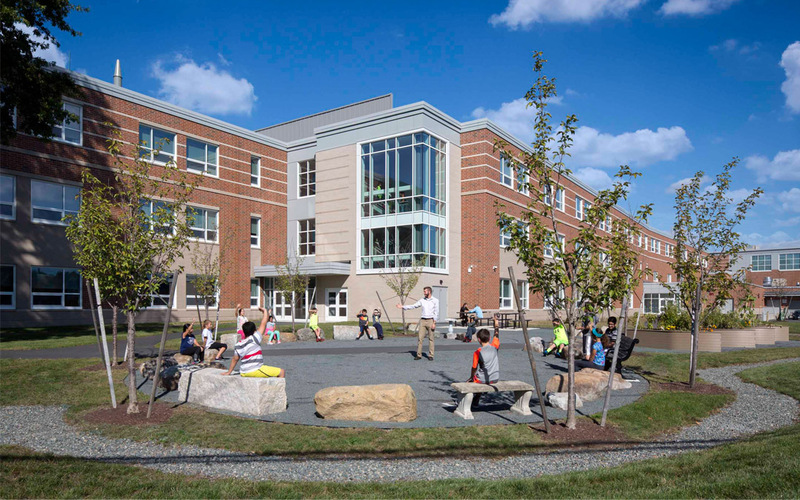 Working directly with the principal and school leadership, we incorporated an outdoor classroom complete with boat -themed garden planters and generous group seating of reclaimed stone/boulders. 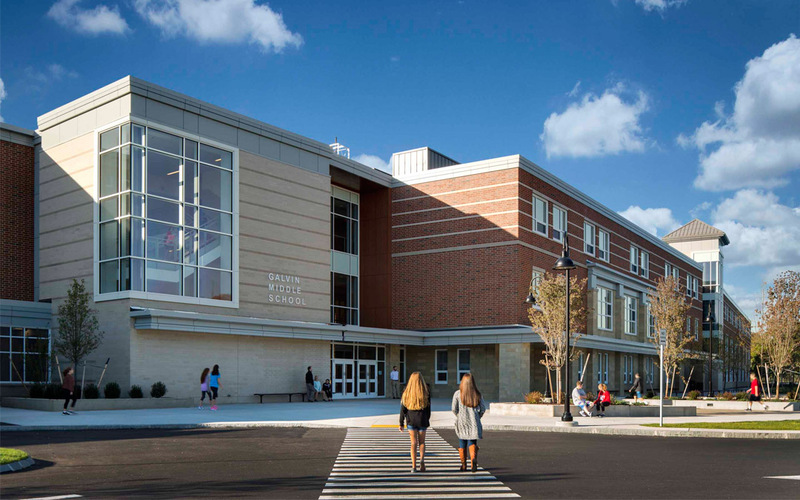 A water source and garden storage area were also part of the design. 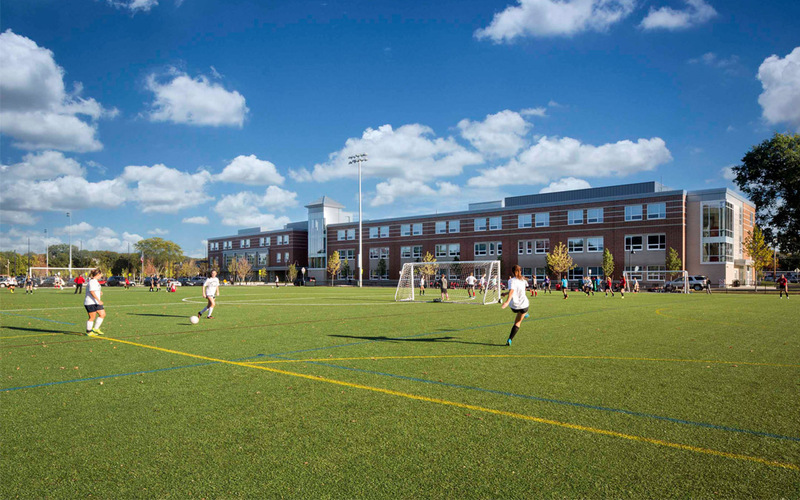 Stormwater considerations included a unique sports field base design to retain and allow for stormwater infiltration within the stone base layer of the synthetic turf fields and maximizing usable open space.